Have 2 phone numbers in 1 mobile. 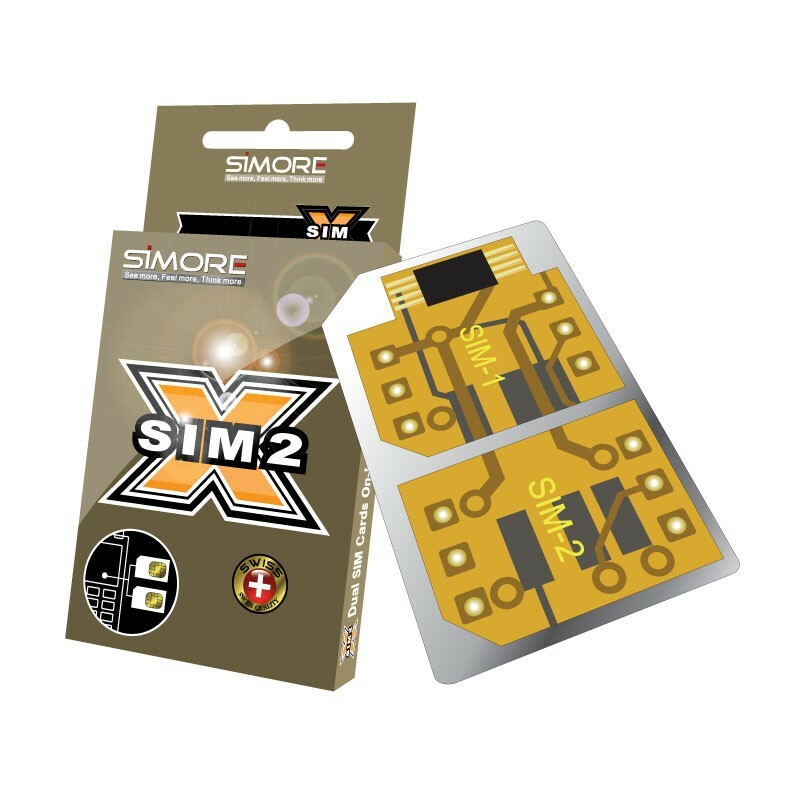 Simore DualSim Gold type 1 Dual SIM card is an intelligent device that allows you to integrate two SIM cards in one mobile phone. The dual SIM card adapter Gold type 1 is universal and is installed directly into the slot of your SIM card. Once inserted into your mobile, the Simore menu will automatically appear in the menu of your phone. It allows you to manage your two numbers and to define all your settings. The Dual SIM Holder Gold 1 requires the cutting of your SIM cards. This solution is reversible. Our kit includes two restoration tools allowing you to recover your SIM cards in their original format (see videos Type 1 & recovery). The DualSim Gold 1 have a memory bank where you can store, manage and protect your contacts and information (secret agenda, secret SMS, etc. ..). This Dual SIM adapter includes a Crypted SMS function, allow you to send and receive crypted confidential information. To use the "encrypted SMS" function the mobile phone must allow to store the received SMS into the SIM card memory. SIMore DualSim Gold 1 adapter allows you to switch from one number to another without turning off you mobile. You save huge international roaming fees.